Natural light streams through the windows of this 500 square foot meeting space. 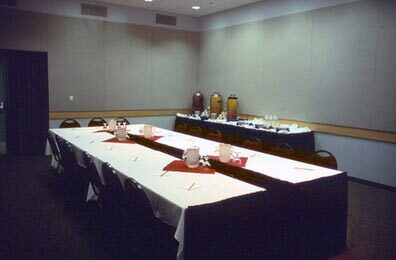 Room D101 is the quintessential location for a small board meeting, retreat gathering or breakfast space. A ceiling height of 14' gives the space flexibility. Room D101 has been used as a shipping room, computer space, printing office, banquet hall and exhibitor lounge.